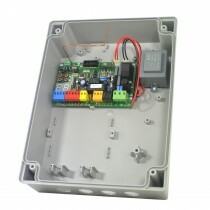 Proteco gate automation programmable control boards (PCB) are available for both swing and sliding gate systems. 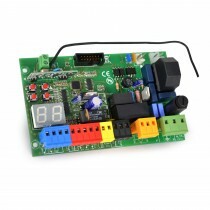 We have designed our boards to offer exceptional safety, ease of programming and flexibility. Featuring LED displays to provide programming feedback and test functions, we believe our boards are about the most user friendly in the market - we offer a 10 second automatic set up programming function. It is why once installers have used Proteco automation they rarely want to use anything else. Our boards come with 433.92 MHz frequency receivers and work with all Proteco rolling code remote key fobs. They also have plug-in options for a stackable electro-lock relay and a stackable multi-function relay.